One of the things we have been hearing lately, with respect to our own domestic politics,is the debate between conscience and politics. Sometimes our desire to see our own side win, has to be tempered by a broader view of the moral and human dimensions of an issue. The ongoing struggle in the Middle East between Israelis and the Palestinians is no different. 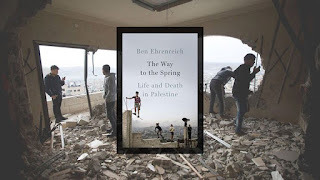 No matter the depth of our appreciation for the remarkable miracle that is Israel, the matter of the Palestinian people and some of the decisions and actions taken by Israel must be viewed in a larger moral context. In order to do that we have to really understand what’s happening on the ground, in places like the West Bank and Gaza. Oliver Brown, the lead plaintiff in Brown v. the Board of Education was a parent of a child denied access to a Topeka Kansas School. Clarence Gideon changed the way poor defendant are treated in court. 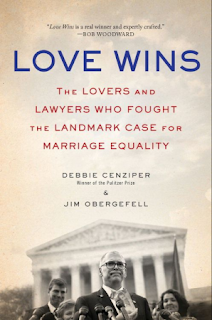 Ernesto Miranda and Jane Roe both, in their own ways, were part of cases that expanded the rights of individual citizens. Who Started the War On Government? So what happened? What happened to the partnership between business, the government and citizen that resulted in so much success and prosperity in the post war years? 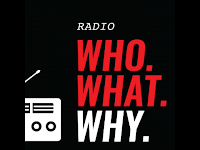 What happened to the progressive agenda once embarrassed by Woodrow Wilson and Teddy Roosevelt? And what is the price we are paying today for the absence of that partnership? 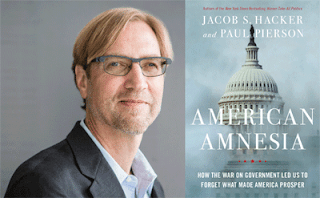 Author and Professor Paul Pierson talks to me about all of this in on discussion of American Amnesia: How the War on Government Led Us to Forget What Made America Prosper . If there is one overriding meme today it’s about fear. Fear of change, fear of a shrinking world, fear of the impact of technology; in short fear of an unknown future. Regardless of that fear, the future is inevitable. It’s the place we are all going to be living. Even for those that are afraid to embrace it, they should at least understand it. 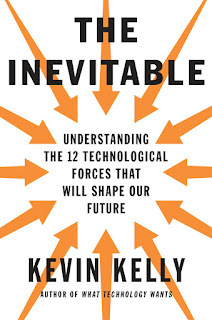 Few see the future more clearly and are better able to explain it than WIRED founder Kevin Kelly. He lays out the agenda for future in The Inevitable: Understanding the 12 Technological Forces That Will Shape Our Future . Before Lin-Manuel Miranda, before the Play there was the book. 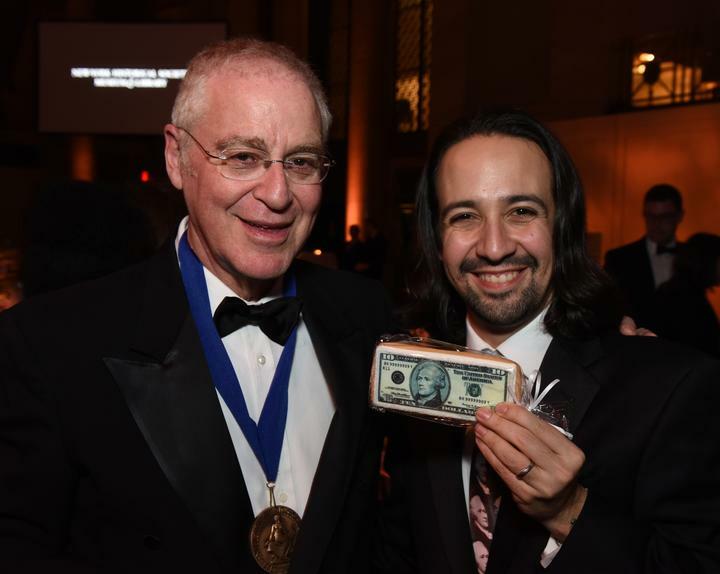 Miranda has talked about how his inspiration was Ron Chernow's 2004 book about Hamilton. Here is my May 2004 conversation with Ron Chernow about HAMILTON. We are a nation that believes deeply in the Horatio Alger story of hard work and pulling oneself up by their bootstraps. In political terms this has translated into an ethos of individualism, which arguably has been corrosive to our body politic. In part, it grew in response to the culture of monarchy and inheritance that America was founded in opposition to. It is certainly far more egalitarian to believe that we are the masters of our fate. In economic terms, the Right has taken this to the extremes. But what does it mean in terms of learning, education and personal success. In this context, we see how the classic argument about nature and nurture has been extrapolated to talent vs. perseverance. Or, in the words of MacArthur Fellow and Professor at the University of Pennsylvania, Angela Duckworth, into Grit: The Power of Passion and Perseverance . 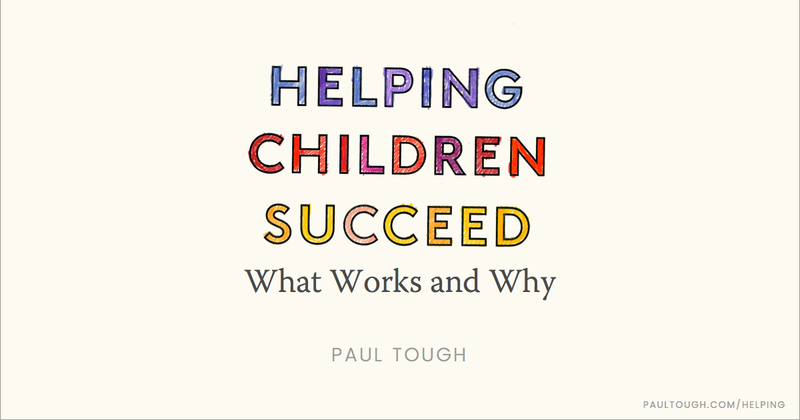 What Really Helps Children Succeed? We know that children living in poverty generally tend to do worse academically than middle class kids. We also know that even some kids from wealthy backgrounds fail or breakdown. We’ve come to learn, in part through the writing of my guest Paul Tough, that it’s more than IQ or temperament. There is something else. 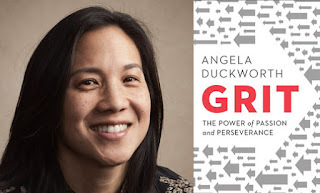 Something that has to do with innate character, perseverance or just plain old fashioned grit. But are these traits preordained? 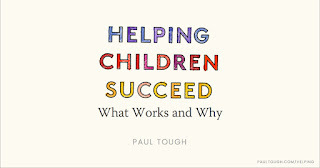 Helping Children Succeed: What Works and Why . “We hear of of war and the rumor of war.” We thank our soldiers for their service and we think that we are welcoming them back into society. But what are actually welcoming back into? They return often with an experience we cannot really comprehend. 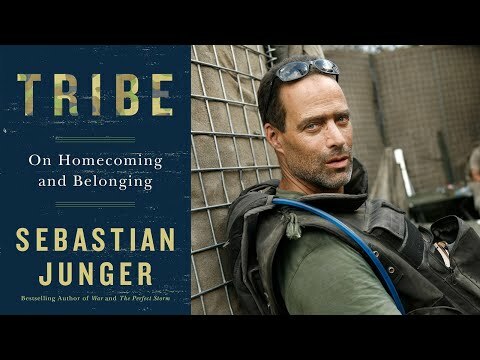 An experience that often bonds them together into their own tribe. One that makes them different from us. In fact as many of us work hard to breakdown the tribal bonds that divide us as a society, as globalization continues to homogenize us, both domestically and internationally, the experience of war often forms new, personal and deeper such bonds among the soldiers. In so doing, it makes it so much harder for them to be among us. If anything represents the new new thing in our technological age, it's the arena of artificial intelligence. 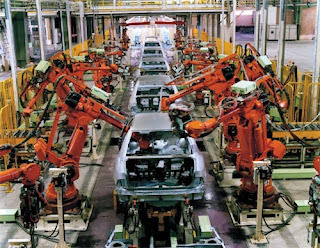 From the factory floor to the glittering glass office of law firms, smart machine are doing job, after job, after job. The conversation about jobs going offshore is so yesterday. Today it’s robots and algorithms that are the threats. 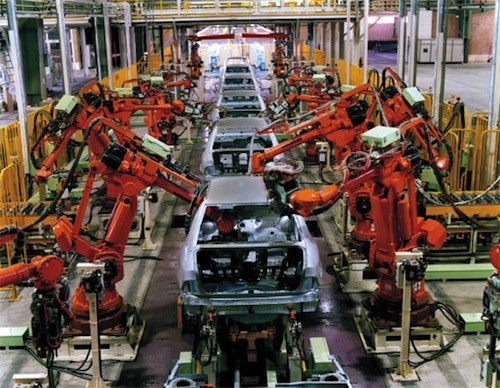 Manufacturing is only the beginning. Service sector jobs, clerical jobs, accounting, paralegal, are all starting to be done by machines. Drones will soon do deliveries and driving, perhaps the largest bastion of blue collar jobs, will, within 10 years, be replaced by the autonomous vehicles. So what’s left for humans? As machines start to program themselves, as we’ve seen with autonomous cars, as more and more higher level functions are done by machines, what’s a human to do? That the subject of Only Humans Need Apply: Winners and Losers in the Age of Smart Machines , a new book by Julia Kirby. Look around us. Conflict is everywhere. In our culture, certainly in our politics, in the broader world and in our interactions with institutions. Sometimes, to try and seek shelter from that sea of conflict, we look into our own personal relationships for solace. When we do, we place even more pressure on those relationships and often the seeds of more conflict are sown. So with all of this conflict how do we negotiate our way out of it? How do we break the habits of pervasive conflict, prevent or dampen conflict with those we care about, and are those skills applicable to the large framework of conflict. These are some of the issues that Daniel Shapiro, the founder of Harvard’s International Negotiation Program takes up in Negotiating the Nonnegotiable: How to Resolve Your Most Emotionally Charged Conflicts .